Eureka Building is set to host its second annual Eureka FEST powered by Microsoft taking place on Thursday, April 14, 2016. The festival brings together entrepreneurs, technology leaders, startup CEOs, investors, city officials, university faculty, developers, and more to celebrate OC’s growing startup and tech scene. “Eureka Fest surpassed our expectations last year with over 600 attendees, several bands and fantastic speakers. This year we are raising the bar with more programs, speakers and experiences,” said Peter Polydor (Eureka Building Founder). 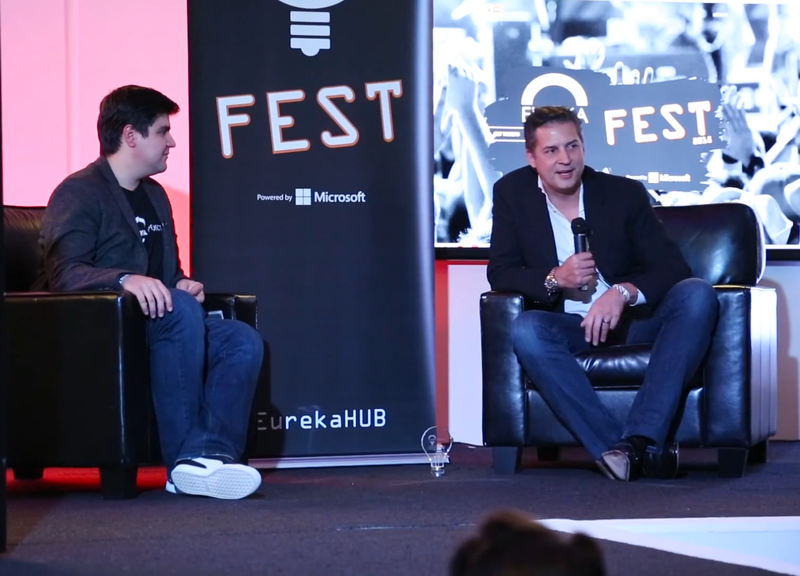 Last year’s FEST included prominent speakers such as Tom Hauburger, Senior Program Manager of Microsoft and Founder of Copy Labs as well as David Perry, Founder and CEO of Gaikai. The Startup Fast Pitch contest will be held within Eureka Building’s spacious, innovative campus and presenting startups have applied to be part of the pitch contest. The winner will receive prizes from Eureka, Microsoft, and other sponsors and community partners. “The Eureka FEST Fast Pitch Competition was one of the major turning points in my career as entrepreneur. It helped me uncover opportunities from place I didn’t even know existed.” - Winner of last year’s pitch contest, Malik Ahmad, Founder of Vivolytics. Eureka FEST will also include the presentation of the 2nd Annual Eureka Entrepreneur Award given to a leading Entrepreneur in OC. “Microsoft is a proud partner of Eureka and excited to support the local ecosystem through BizSpark! We’re thrilled to be a part of Eureka FEST again this year and their growing community,” said Yesenia Alvarez, Community Evangelist, Developer Experience and Evangelism for Southern California. Come enjoy live music, inspired food trucks, unique speakers and connect with the California tech community. Wondering how you can get involved? Visit us online if you want to volunteer, apply to pitch or nominate someone for the Eureka Entrepreneur Award. For Eureka FEST 2016 schedule, info and registration, please visit: http://www.EurekaON.com. Eureka FEST powered by Microsoft celebrates being an entrepreneur in Orange County with music, pitches, and parties. Eureka FEST kicks off from 12:30pm to 8:00pm. on Thursday, April 14 2016 at the Eureka Building, 1621 Alton Parkway, Irvine, CA 92606. The deadline for Startup Pitch entries is March 15, 2015. Entry for pitching is free and the application is online at http://www.eurekaon.com/startups. The Eureka Building is a 3-acre technology campus in Irvine, California designed to help accelerate innovation. Our goal is to support local entrepreneurship by giving innovative companies and entrepreneurs in Orange County a home that is centrally located and easy to access. Through partnerships we are more than just a home, but are a support network hosting startup events while fostering mentorship relationships with our partners all within one of the most creative spaces in the region.